Clear Channel President of Entertainment Enterprises and one of the entertainment industry’s most innovative leaders, John Sykes, will receive the Lifetime Music Industry Achievement Award at the 38th annual TJ Martell Foundation Honors Gala to be held on Tuesday, October 22, 2013 at Cipriani on 42nd Street in New York City. The Lifetime Music Industry Achievement Award is the T.J. Martell Foundation’s most prestigious music industry honor and is awarded to a person who has made profound contributions to the music and entertainment industries. 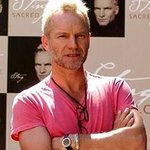 The T.J. Martell Foundation has also announced that Sting and Bryan Adams will perform at the star-studded annual event. President Bill Clinton, also a past T.J. Martell Foundation honoree, will present longtime friend John Sykes with the prestigious award. John Sykes has been a music and entertainment industry leader for over 30 years, and continues to create enterprising, recognizable television brands and events that reach millions of people around the globe. Prior to joining Clear Channel, John built and operated a number of leading entertainment brands. He was a member of the original team that founded MTV in 1981 and spent 21 years at Viacom. John was the President of VH1 from 1994-2002 and led the rebrand of the television network to a music and pop culture channel. He served as chairman and CEO of Infinity Broadcasting from 2002-2005. As the current President of Clear Channel Entertainment Enterprises, John is responsible for developing new business partnerships and platforms across a range of media including television, digital platforms and live events. He also is co-executive producer of Clear Channel’s annual iHeartRadio Music Festival, one of the most recognized, record-setting music festivals in history seen and heard here in the U.S. and around the world. Sykes also guides the company’s relationship with Ryan Seacrest Productions on the creation and distribution of television programming, as well as the development of other media and entertainment content. John has made history through an array of philanthropic projects, producing some of the world’s biggest benefit concerts. In 2012, he co-produced the special one-night-only concert event “12-12-12” (A Concert for Sandy Relief), which raised over $53 million to support victims of Hurricane Sandy, which was nominated for two Emmy Awards. 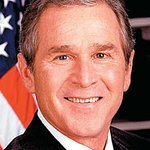 In October of 2001, following the attacks on the World Trade Center, he co-produced “The Concert for New York City” at Madison Square Garden with Harvey Weinstein and James Dolan, which raised over $50 million to provide support for the families of the victims of the 9/11 attacks. In addition, while serving as President of VH1 he created the VH1 Save The Music Foundation, which has raised over $45 million to rebuild music education programs in public schools across America. John has also been instrumental in serving the New York community as a Board Member of the Robin Hood Foundation for nearly two decades. He also serves on the boards of the Rock and Roll Hall of Fame and Syracuse University’s Newhouse School.